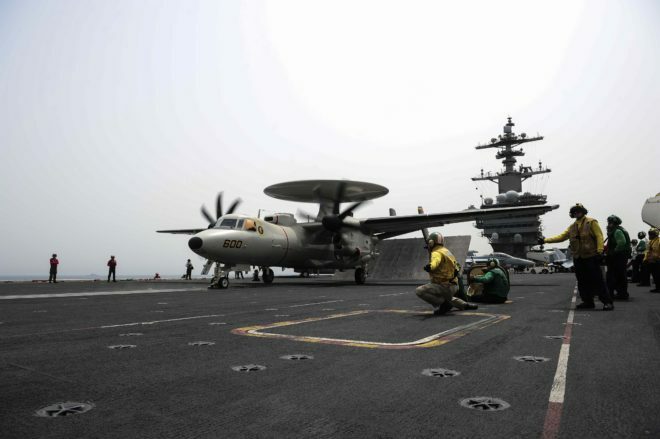 Arabian Gulf Mine Exercise is Needed Practice for U.S. So it is for the U.S. Navy and partner navies’ mine countermeasures (MCM) forces operating in the Arabian Gulf in mid-2012. Hosted by the U.S. Naval Forces Central Command (USNAVCENT), the International Mine Countermeasures Exercise 2012 (IMCMEX 12) is an international symposium and associated afloat exercise of mine countermeasure capabilities, scheduled for 16 to 27 September at multiple locations in the USNAVCENT area of operations. MCM assets from more than 20 countries on four continents will participate, making it the largest MCM exercise to date. 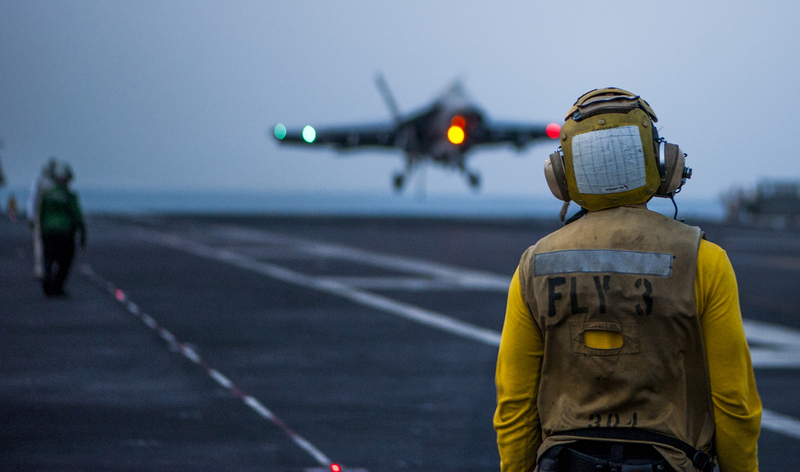 The operation is “a defensive exercise aimed at preserving freedom of navigation in international waterways in the Middle East,” Pentagon spokesman George Little said. 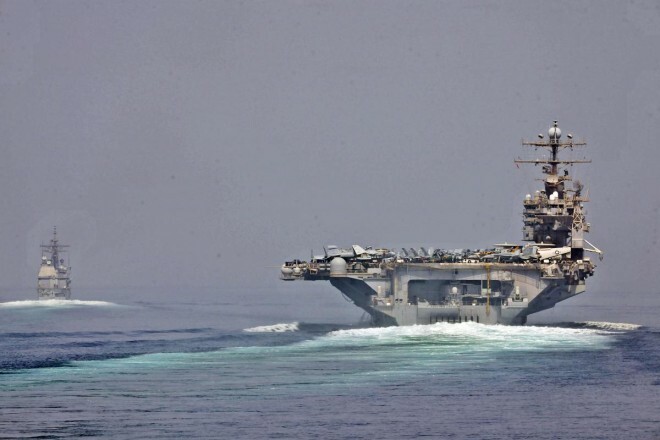 Washington has warned Tehran not to mine the strategic Strait of Hormuz, which the Islamic republic has threatened to do unless international sanctions against its nuclear program are pulled back. A version of this story originally appeared in June. It has been updated by the author to reflect recent events. 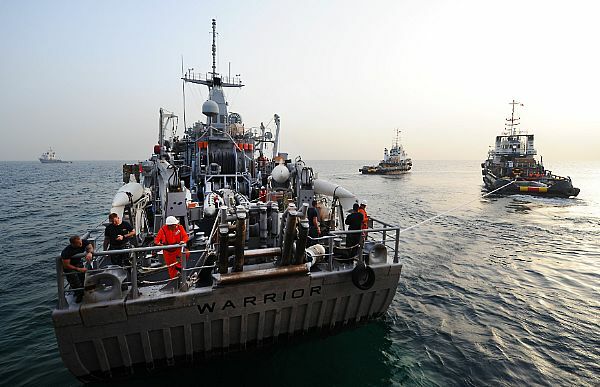 Iran threatens to mine the Strait of Hormuz, petroleum markets react, world economies take notice, and more U.S. and allied naval forces are sent to the region, upping the ante for Tehran and the U.S. Navy. Iran’s top naval commander, Adm. Habibollah Sayyari, late last year warned that closin the strait would be “easier than drinking a glass of water.” The Obama administration publicly dismissed the threat as “aber rattling,” but also privately informed Tehran that attempting to close the strait would trigger a U.S. military response. U.S. Navy photo of the USS Enterprise and USS Cape St. George transitioning through the Strait of Hormuz on May 11. 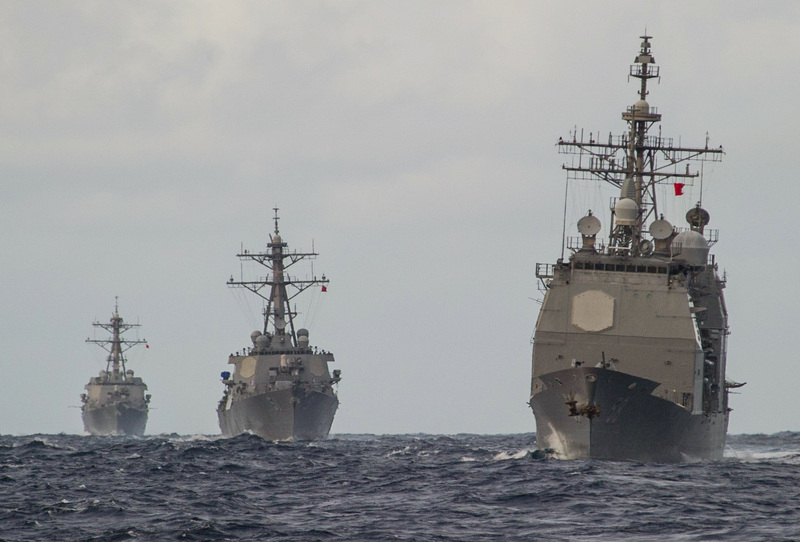 “The laying of mines in international waters is an act of war,” Vice Adm. Mark Fox, commander of the U.S. Navy’s Fifth Fleet, said in a Feb. 12 interview. Whether an “act of war” or not (the international rules — admittedly more honored in their breach than observation— do allow for peacetime mining of high-seas areas under certain strict conditions. Iranian officials have threatened to close the Strait of Hormuz in response to U.S. and international sanctions over its nuclear program. 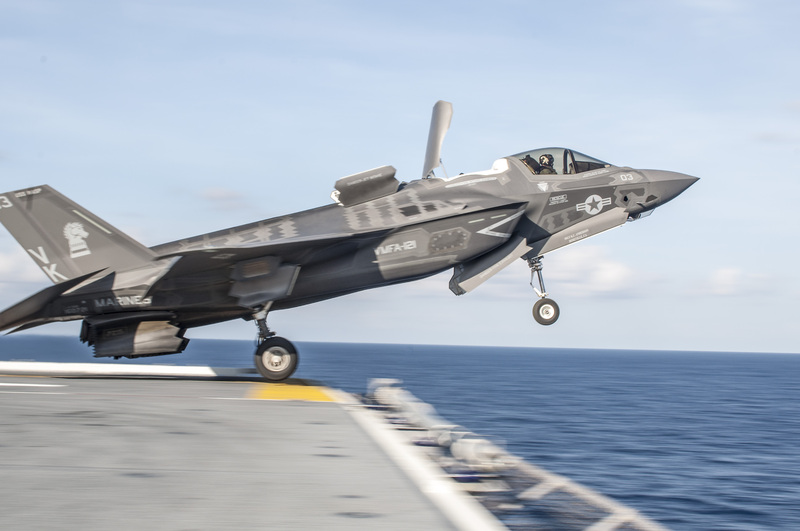 Iran threatens to mine the Strait of Hormuz, petroleum markets react, world economies take notice, and more naval forces are sent to the region, upping the ante for Tehran and the U.S. Navy. Iran’s top naval commander, Adm. Habibollah Sayyari, late last year warned that closing the strait would be “easier than drinking a glass of water.” The Obama administration has publicly dismissed the threat as “saber rattling,” but also privately informed Tehran that attempting to close the strait would trigger a U.S. military response. Whether an act of war or not (the international rules––admittedly more honored in their breach than observation––do allow for peacetime mining of high-seas areas under certain strict conditions), Iranian officials have threatened to close the Strait of Hormuz in response to Western sanctions over its nuclear program. A key transportation route for a daily flow of 17 million barrels of oil––about 35 percent of world seaborne petroleum trade––according to the U.S. Energy Information Administration, the Strait of Hormuz is approximately 175 nautical miles in length and narrows to 21 nautical miles wide, making it an “international strait” under the U.N. Convention on the Law of the Sea. Such international straits, which are completely enclosed by the 12-mile territorial seas of the littoral states, have special protections under the UNCLOS regime, even as the United States has yet to ratify the treaty. Since the end of World War II mines have seriously damaged or sunk four times more U.S. Navy ships than all other means of attack combined. Fifteen of 19 ships have been mine victims. And that doesn’t include many more ships sunk or damaged by mines, from the Corfu Channel crisis of 1946 to the Arabian Gulf Tanker War of the 1980s to the Tamil Sea Tigers sinking of the MV Invincible in 2008. During the Tanker War in the Arabian Gulf, Iraq and Iran indiscriminately deployed several types of mines, including variants of the 1908 Russian-design contact mine that nearly sank the frigate USS Samuel B. Roberts (FFG-58) in April 1988. After the United States agreed to provide protection for convoys of oil tankers, the first convoy ran into trouble when the U.S.-flagged supertanker MV Bridgeton struck a mine that blew a large hole in its hull. Almost immediately, the U.S. Navy surface warships fell in line abaft Bridgeton, giving lie to the adage that every ship can be a minesweeper once. If more mines were present, Bridgeton was to clear the way. In 1990 and 1991, Iraq deployed more than 1,300 mines in the northern gulf––including a weapon never before seen in the West. 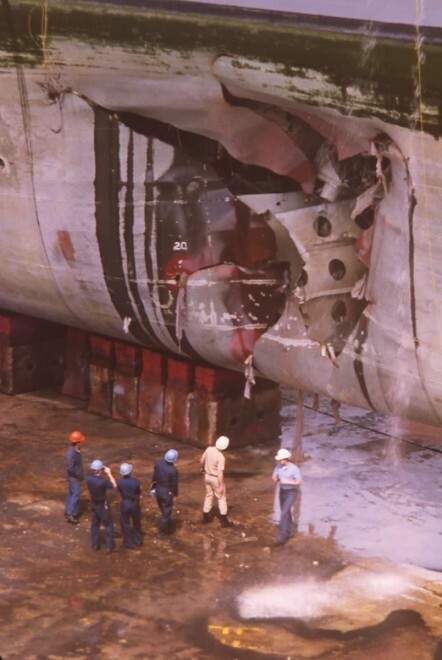 In the early morning of 18 February 1991, the USS Tripoli (LPH-10), which had embarked airborne mine-countermeasure helicopters, struck an Iraqi contact mine; four hours later, the Aegis cruiser Princeton (CG-59) fell victim to a Manta mine, a “mission-kill” that took the cruiser out of the war and cost about $100 million to bring her back on line. More to the point of the impact of a possible Iranian mining campaign in 2012, it took the Multinational Coalition forces more than two years of intensive mine-countermeasure operations to declare the northern Gulf mine free. 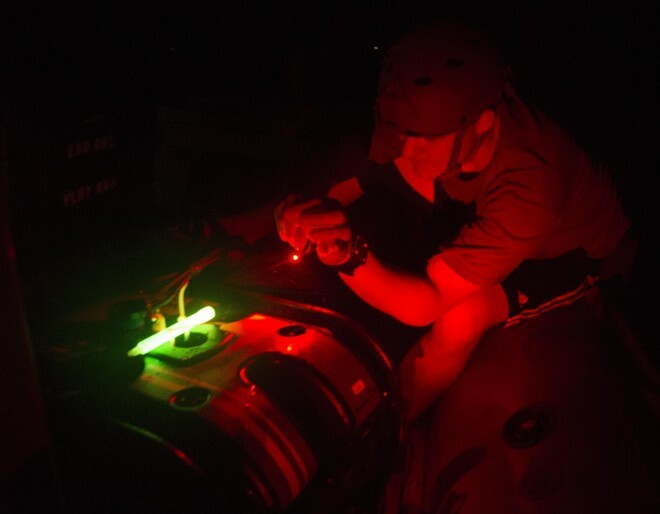 According to then-Chief of Naval Operations Adm. Gary Roughead, in 2009 more than 1 million mines of 300 types were in the inventories of more than 65 navies. Russia had about 250,000 mines. The Chinese navy was estimated to have about 100,000 mines, including a rising mine that could be deployed in waters deeper than 6,000 feet. And North Korea had about 50,000 mines. All three sell weapons to virtually any navy or terrorist group, anywhere, any time, as do another 17 or so countries. Iran has acquired a stockpile of 3,000 to 6,000 mines, mostly of Soviet/Russian, Chinese or North Korean origin. Most are unsophisticated but still dangerous bottom-moored buoyant contact mines, like those that damaged Roberts and Tripoli. Other mines, like the Manta that struck Princeton, are bottom mines that come to rest on the bottom and wait for a target to satisfy various parameters. These influence mines fire when increasingly sophisticate target detection devices sense magnetic, acoustic, seismic, water pressure, electric-potential signatures of their victims. One Iranian mine, the Chinese-produced EM-52, is a multiple-influence (acoustic, magnetic, pressure) rocket-propelled straight-rising mine, armed with a 600-pound high-explosive warhead, that can be deployed by surface vessels in waters as deep as 600 feet. The inventory also reportedly includes about 600 advanced, multiple-influence mines bought from Russia, including the MDM-3 that can be dropped from an aircraft. Physics will help bound the problem. Generally, the water depth of the strait varies from about 200 feet to 300 feet, but its approaches from the northwest are shallower, on the order of 120 feet deep. In the strait itself, depths can reach 1,000 feet and currents make deploying bottom mines an uncertain tactic. If deployed in deep water, even large-warhead bottom mines would have limited effect of surface traffic. Not that bottom mines wouldn’t be employed where it made operational sense, but Iran would likely rely on bottom-moored contact mines that lurk close to the surface but remain difficult to detect and defeat. Mines are only one element of Iranian anti-access/area-denial weapons, which include speedboats armed with guns and missiles, small and mini-submarines armed with torpedoes, shore-based anti-ship missiles, and aircraft. 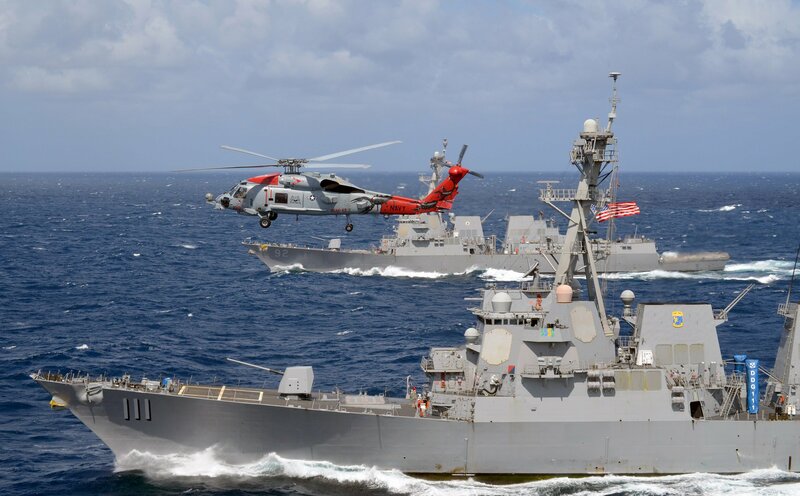 The Navy has also announced that the USS Ponce (LPD-15) is being refitted to support naval forces in the region, primarily focused on the MCM mission. 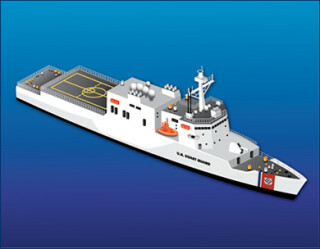 An interim Afloat Forward Staging Base (AFSB), her “main battery” will be AMCM helos and support craft. This, too, has been done before, with the conversion in the mid-1990s of the USS Inchon (LPH/MCS-12) as an MCM command-and-control ship. In addition, the naval MCM “order of battle” include several Royal Navy MCM vessels and Royal Australian Navy assets, as well as MCM capabilities of America’s regional maritime partners. “It’s a volume issue more than a technical challenge,” Navy Lt. Cmdr. Wayne Liebold, the skipper of the USS Gladiator (MCM-11), one of the Bahrain-based Avenger MCM vessels, told The Huffington Post. “My concern is going out there and having to search a large volume of water with large quantities of mines,” said Liebold, who has done three MCM deployments to the gulf. Though easily detectable, the laying of several hundred mines in a matter of days could have a significant, albeit only temporary, effect on commercial and naval mobility. More broadly, however, the impact on world petroleum markets is unclear. During the Red Sea/Gulf of Suez mine crisis of 1984, commercial and naval traffic continued unabated, despite reports of underwater explosions, and world petroleum prices were virtually unaffected. In short, while Iran’s mines might not be show-stoppers, they certainly can be speed bumps that attack strategies, plans and timelines, in addition to ships and submarines.